A leadership role offers a great opportunity to grow professionally, and it will push you to learn new skills. One of the most important skills you will need to learn is how to give feedback to others. For you as a leader, it is the single most important process by which you will improve the performance of your team members, and, as a result, ensure you deliver your goals. It’s also tough. Most of us don’t like to get, or give, feedback. But if you can master the process for giving effective feedback, you will improve performance, gain a reputation for being honest and open, and, most importantly, you will see your team members grow and succeed. The good news is that feedback doesn’t have to be complicated. To be effective, it does need to meet certain requirements. 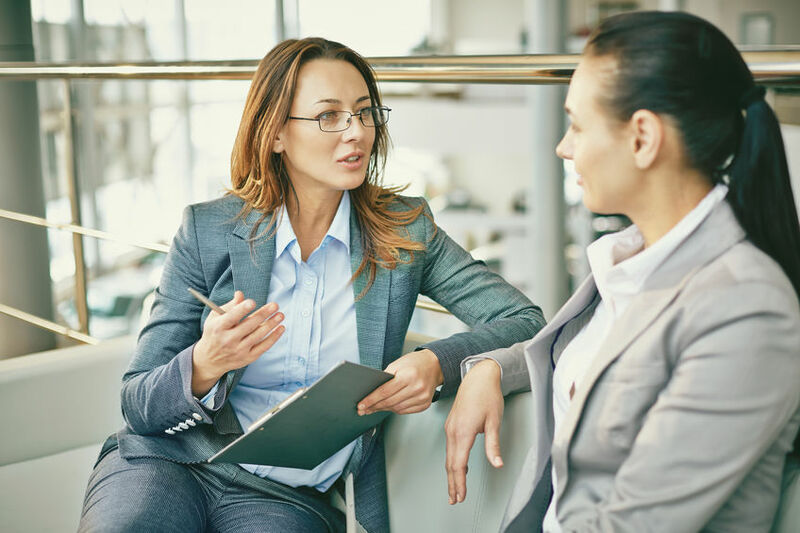 Called a FairTalk Statement, this structured approach to giving effective feedback has three simple, but powerful steps. Most people want to do a good job. Most people will try and respond when asked to do things differently. But did you know that some if you provide the reasons for why you asking for change, you almost double the probability that someone will change? If your team member needs to do something different, before you ask for the change, start with why it is important. What is the reason you need to see something different? Sometimes your team members just don’t know that you aren’t happy. You have to be specific. It can be hard to say, “I am not satisfied with how this went, but it is essential to improvement.” And it is more than that. It is also honest. It may feel uncomfortable, but your direct report will know that performance didn’t meet standards and exactly where he or she stands. That knowledge is the catalyst for action. Detailed. Be specific about what behavior you would like to see. You need to be clear. It would be unfair to have someone working hard to improve only to learn that he or she has been working on the wrong thing. Destination-focused. In other words, it is not good revisiting the past. Focus the discussion on the future. It can help the conversation be about opportunity. Doable. If someone is already struggling, don’t ask for the moon. Make sure you ask for improvement that is small enough to be achievable. People need to feel confident that they can succeed, or they won’t bother trying. You can always ask for more improvement later, once the first improvements are successfully made. Developmental. What you are really asking is that someone learn something new. Asking someone to learn is much more readily accepted than just stressing that they need to change. Once we understand we are asking someone to learn something, it is also easier to think about how we can help them. Getting good at giving feedback is a skill that you can build but can be challenging because it requires courage. Courage is “saying what needs to be said at the right time, to the right person, in the right manner to effect change. Many times it is not positive … … (it) involves letting people know where you stand. Having difficult conversations. Standing alone.” (Korn Ferry, 2014, p. 113) Courage is not very common and can be hard to learn, but building this skill is an investment. One of the many reasons new leaders don’t give feedback is a lack of confidence. They fear they may do it badly, or damage relationships, or cause an emotional response or more. The best way to build your confidence, and find courage, is practice. Three practice tips can help you. Write it down. Using the three-step FairTalk Statement, write down your answers to the each of the questions. This simple act will help you get, and feel, more prepared. It will also ensure that you are thoughtful and conscious of what you plan to say. You can try different phrases and explanations to make sure you are clear and have the four Ds covered. You can try different approaches in a risk free-way until you find a tone that feels authentic to you. Practice with a buddy. If you have prepared what you would like to say, find someone you can practice with. It could be another work colleague, like a peer, or maybe there is a more experienced people leader who can support your practice. You don’t even have to tell your buddy who will get the feedback. Practice with your cat or a favorite mug. Just saying the words out loud will build confidence. It means when you come to actually give the feedback, you know you won’t be lost for words. Start small and build your muscle. Any new skill can be tough to learn. We all have to start somewhere, so feel good about deciding to start small, and build up to more difficult conversations. Starting small means finding easier, rather than harder, feedback conversations. Use those to practice building your new skills. For example, you might find it easier to give feedback to more junior team members. They know they are learning and are expecting feedback. Or you can start with the high performer. You are likely having them build on an already strong base. Or start where the topic of the feedback is around a skill that is more easily acquired. In other words, work your way up to more difficult conversations. Finally, as you practice, you need to reflect. Consciously consider what was successful for you and what worked less well. Studies confirm that reflection on our practice, based on the feedback we’ve received, supports our learning and improves our performance. As well as making your practice plan, also plan on how you will reflect. Reflection can be in writing, such as a learning journal, or through discussion of your progress with a colleague or even your boss. Make time for it. As you practice and reflect, you will be building one of the more difficult but most important career enhancing skills. Good luck!